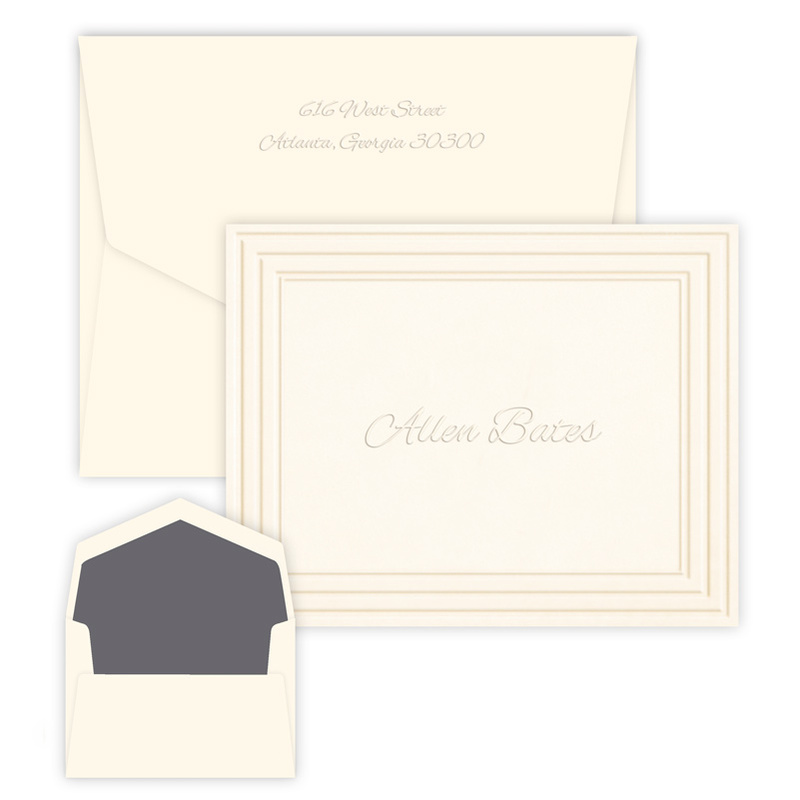 The exquisitely embossed borders and name give this folded note its superior textural quality. 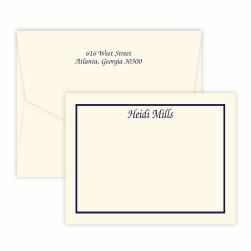 Enjoy a choice of lettering style and either white or ivory paper. 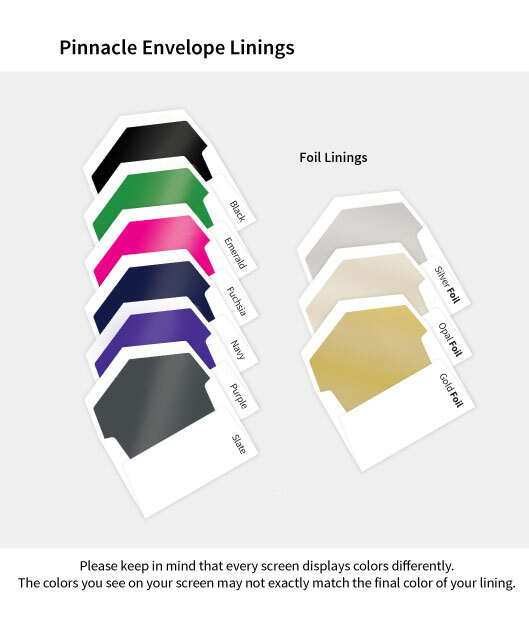 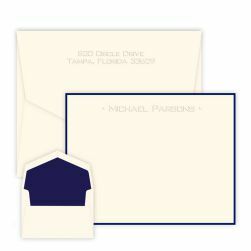 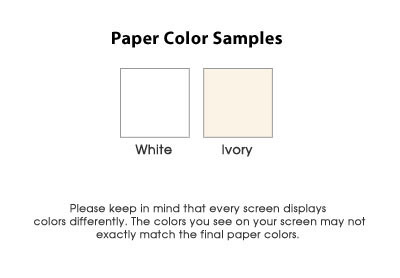 25 color-matched envelopes included. 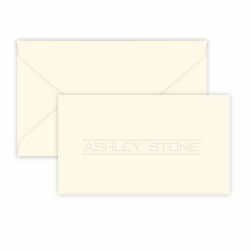 For even more luxury, choose optional return address or linings on the envelopes.